Native Hawaiian tradition holds that high altitudes are sacred and are a gateway to heaven. In the past only high chiefs and priests were allowed at Mauna Kea's summit. The mountain is home to one confirmed burial site and perhaps four more, and environmentalists oppose the telescope on the grounds it would hurt some endangered species. Hawaii's isolated position in the middle of the Pacific Ocean also means the area is relatively free of air pollution. Few cities on the Big Island mean there aren't a lot of man-made lights around to disrupt observations. Hence Hawaii was chosen on Tuesday as the site for the world's biggest telescope, a device so powerful that it will allow scientists to see some 13 billion light years away and get a glimpse into the early years of the universe. The telescope's mirror stretching almost 100 feet in diameter, or nearly the length of a Boeing 737's wingspan will be so large that it should be able to gather light that will have spent 13 billion years traveling to earth. This means astronomers looking into the telescope will be able to see images of the first stars and galaxies forming some 400 million years after the Big Bang. Thirty Meter Telescope Observatory Corp. spokesman Charles Blue said that It will sort of give us the history of the universe. The telescope is expected to be completed by 2018, will be located atop a dormant volcano that is popular with astronomers because its summit sits well above the clouds at 13,796 feet, offering a clear view of the sky above for 300 days a year. The telescope will be built by the University of California, the California Institute of Technology and the Association of Canadian Universities for Research in Astronomy. A partnership of European countries plans to build the European Extremely Large Telescope, which would have an 138-foot mirror. The group is considering sites in Argentina, Chile, Morocco and Spain. It plans to decide on a location next year and be able to host its first observation in 2018. Another group of universities plans to finish the Giant Magellan Telescope, also around 2018, with an 80-foot mirror in Las Campanas, Chile. The current world's largest telescopes also are located atop Mauna Kea, but the size of their diameters is about three times smaller than the Thirty Meter Telescope. Current telescopes also don't routinely offer views of hundreds of planets orbiting around other stars and stars that are near the sun like the new telescope will. Sources at both companies said that if everything works out, an announcement could be made within a week. It is probably a matter of time before they finally followed through negotiations to the end. 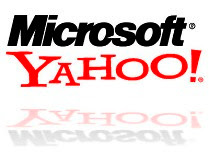 Microsoft and Yahoo are in the final round of talks aimed at negotiating a deal that will include Microsoft paying several billion dollars up front to take over its search advertising business and guarantee certain payments back to Yahoo. As Microsoft enjoying relative success with the recent launch of its Bing Web site. The possible alliance itself is somewhat surprising. Top Microsoft executives are currently in Silicon Valley ironing out the short strokes, which apparently are related to deployment of technology. Neither side is commenting on the potential agreement, as they have been down this and similar roads together in the past. Although confident in Bing and the popularity it has been gaining since going live, Microsoft still is clearly far behind search titan Google (as is Yahoo). This proposed deal is not a complete Microsoft takeover as was initially being discussed earlier this year, but both companies can gain some ground in the battle by becoming allies. 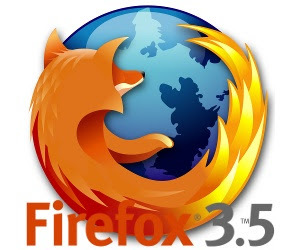 The Google chrome operating system is going to be release in the second half of 2010, which threatens to chip away at Microsoft’s market share in the low end of the PC market. Schmidt now believes Google can withstand whatever counterpunches Microsoft might throw as the company sets out to make computers cheaper to buy and more enjoyable to use with an operating system tied to Google’s 9-month-old browser Chrome. The less expensive and less powerful laptops known as “netbooks,” which are becoming increasingly popular among consumers primarily interested in surfing the Web. Although Google won’t charge for the Chrome operating system, Schmidt said it could easily pay off by driving down the cost of computers so people can afford to buy more machines and surf the Web more often. Most of the people have experienced degraded vision due to watching TV and computer. Most people prefer prescription eyeglasses to overcome their problem. Check out the video Zenni Optical on TV!!! This gives more information about this product. They offer $ 8 Rx eyeglasses, which is of high quality. This kind of product can make you proud if your children wearing it. This is why media gives High Five to Zenni Optical they certainly attract the global customers by offering high quality eyeglass at very low price. For more information just log on to their website. LG’s Network Monitors offer substantial cost savings compared to traditional PCs and thin clients. 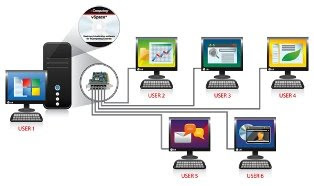 The monitors connect to a PCI card plugged into the host PC that creates multiple virtual workspaces in conjunction with NComputing vSpace desktop virtualization software. These LG Network monitor, N42 Series directly connect up to 11 users to the same computer. These multi-computing solutions include built-in keyboard, mouse, and audio connections. This is an ideal solution for small businesses, schools, government offices, libraries and call centers that need to provide computing capabilities but must also consider costs, maintenance and environmental impact. These Network monitors deliver uncompromised virtual workspaces for up to 11 users sharing a single host computer at less than $1000 per unit. These monitors eliminate the need for all users to have individual computes at their desks. And unlike thin clients, they do not need expensive servers that take up valuable space in the datacenter. Cast: Vikram, Shreya and many more. This is the first time a super hero story has been made in Tamil cinema. Kandasamy which has Vikram and Shreya in the lead is being produced by Kalaipuli Dhanu and directed by Susi Ganesan. Ekambaram has handled the camera. The delay is Mainly due to graphic works, which has lot of graphic work involved in this film. As per the trade reports, it has been revealed that by all means of 99%, the film Kandasamy will get released by end of this month. Producer Kalaipuli S Dhanu has been postponing the film’s release as he’s keen on finding the right time and more number of theatres. Abirami Ramanathan has taken the City Rights for Rs. 4.5Crores, the same price at which he had floated Sivaji – The Boss. The final and steady statements will be made by Director Susi Ganeshan and Producer Dhanu earlier this month. Today the Economic Survey tabled in Parliament Reported 58 million jobs are expected to be created in the five years from 2007 to 2012 . It is expected that agriculture sector may not contribute towards any increase in employment during the Eleventh Five Year Plan. In the Eleventh Five-Year Plan period (2007-12), employment opportunities would surpass the projection of about 45 million. In turn helping to bring down unemployment in the country to below five per cent, according to the Pre-Budget Economic Survey tabled in Parliament. The projected increase in total labour force during the Eleventh Five Year Plan is estimated at 45 million. It is also projected that 58 million employment opportunities would be created in the Eleventh Five Year Plan. The report pointed out that this would be greater than the anticipated increase in labour force, leading to a reduction in the unemployment rate to below five per cent by 2012. Microsoft is currently looking to make a bigger splash in the search market. Through the first nine months of 2008 the company committed more than $1.5 billion to acquiring search, or search-driven businesses including a $1.3 billion buyout of enterprise specialists Fast Search & Transfer. Redmond hopes to catch up to Google in search market share. But it's got its work cut out. Google presently controls about 65% of the U.S. search market, while Microsoft owns only about 8% of the market, according to ComScore. Yahoo, the number two player, held 20% of the market, as of May. Now Bing not just as a search site, but as a so-called decision engine. Bing includes features that allow users to book travel and engage in other e-commerce transactions with just a few clicks. 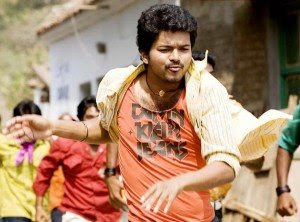 There is a talk doing the rounds as to what the story of Vettaikaran is going to be like. It goes like this…. !!! wats up Everyone Knows how many times he do the same old story like this? Will it be any new storyline this time? Who Knows!! Insurance is where; it is guaranteed small loss to prevent a large, possibly devastating loss. It is an equitable transfer of the risk of a loss. There are so many type of insurance such as Auto Insurance, Health Insurance, Life Insurance, Home Insurance, Personal Accident etc. Each type of Insurance has its own features and functions. In today's hectic world, it is more important than ever to make a smart and informed decision about your financial and homeowners insurance needs. In coming days some disasters may happen such as Fire, hurricanes, earthquakes, and floods. These are all too often in our part of life.Obtaining a home insurance quote can give you an idea of how much the policy should cost. By acquiring home insurance you can protect your home. To get the best homeowners insurance rates just log on to the most popular web site lowerrates.com. This site will provide people with perfect insurance services where they will assist you with the right information. Here you can check for insurance rates and interest in just a minute. Apart from Homeowners insurance they also offer Car insurance, Renters insurance, Health insurance and Life insurance. Here they also offer services such as Debt Consolidation, Mortgage Loans, Auto Loans, Credit Cards and Credit Repair. If you have any questions about their program don’t hesitate to contact them by request for information’s, by submit your details on their website. Insurance is an equitable transfer of the risk of a loss, where it is guaranteed small loss to prevent a large, possibly devastating loss. There are many type of insurance such as Life Insurance, Auto Insurance, Health Insurance, Home Insurance, Personal Accident etc. Each type of Insurance has its own features and functions. If you are in need of insurance? Then Insurance Rate is the best site where you can apply for renters insurance quote. They are in collaboration with world's largest insurance lenders thereby helping us to get high value insurance rates at low cost. This website is very useful where you can select rapid tool for life insurance quotes of the major insurers. This site is one of the most popular sites that assist us to get our free insurance quotes in just 5 minutes. This site is created to help people to have the comparison of several insurance companies that will give them the best insurance rate. By this you can avoid yourself from being charged with high rate, extra payment, or hidden fees. This insurance portal will provide people with perfect insurance services where they will assist you with the right insurance. By filling out a very simple form that will match us up to five different policies from which we can choose the one that matches our life style. If you have any questions about their program don’t hesitate to contact them by request for information’s by submit your details on their website or contact them at (888) 815-3611. Do you belive that? Yes, it's true! 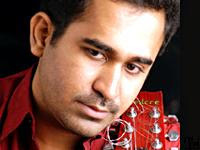 The famous 'Naaka Mukka' song scored by music director Vijay Anthony has won the Best Use of Music award at the Cannes International Advertising festival. The entire film fraternity in Kollywood is elated at this news, and this has turned the spotlights on Tamil cinema. The song 'Naaka Mukka' was used by Times of India, Chennai as a part of its campaign. The ad, nominated in three different categories, created by JWT Advertising Agency, depicts a normal day in the life of Chennai. Congratulation to the music director Vijay Anthony for coming out with this peppy songs that has captured the most of audiences. Payday loans are quite handy in enabling us to achieve our financial needs and to overcome our financial trouble. The payday cash advance will help your financial situation until your next payday. It provides you a simple solution for unexpected situation that requires some cash. It enables us to obtain payday cash advance instantly. It is the fastest source of cash on the net and the entire process of obtaining the loan is simple and easy. Must be 18 years of age or more. He/She also should have a steady income of $1000 per month. If you meet these minimum requirements then you are eligible to avail this service. This site guides us through out the entire process. If you need any information regarding their work or services, just have a look at Frequently Asked Questions (Support FAQ’s’) section that provides adequate solutions to most of the common queries. You can also contact them by request for call by submit your details on their website or make a phone call to (866) 380-5502. Today, Most of the people get affected by debts. To overcome this problem most people get help from debt counselors. Debt counselors are playing a vital role during the credit crunch. They help the debtors to get out of debt and manage their finances better. If you are facing difficulty in managing your finances, be counseled on debt. If you have any questions about their program don’t hesitate to contact them at (888) 867-1953 Or contact them by request for information’s, by submit your details on their website. Opera on latest report shows us Mobile Search Shows Rapid Growth. The report consists of a monthly analysis of the trends followed by the users of Opera Mini, Opera’s light weight browser for mobile phones. Other interesting statistics include the fact that Opera Mini now commands a 24.5 million strong user base. This translates to an increase of 8.4 percent over the previous month and 136 percent year on year. All these users generated over 9.6 billion page views. This is a 27 percent increase over the data from May 2008. The traffic too has seen an upsurge with a phenomenal 245 percent growth. The latest report has placed emphasis on the Mobile Search arena where Google still rules the roost. However, there are minor aberrations in specific and linguistically isolated countries like China and Russia, where other search engines like Yandex and Baidu compete head on with Google. India has moved up the rank of countries when it comes to the usage of Opera Mini. India has pushed Ukraine down by a spot. In fact, India has seen a huge 531 percent growth in the number of page views since May 2008. In terms of unique users, the growth is still impressive at 128.9 percent. The top five sites accessed by Indian users include Google, Orkut, Gmail Yahoo and Rediff. Indian Opera Mini users seem to like Nokia’s 5130c a lot! That, in fact, happened to be the most used handset from which users have accessed the web using Opera Mini. Others in the top five position include the Nokia N70, n73, 3110C and the Nokia 6300. The only non-Nokia phone to make it to the list is the Sony Ericsson W200i. The total data generated by accessing all this content has been pegged at 160 million MB. As most of you might be aware, for faster browsing, Opera Mini servers compress data before transmitting them to your phone. So, in effect, 1.5 Petabytes of data have been served by the Opera Mini servers.